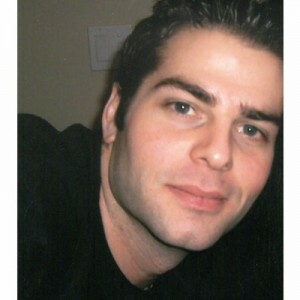 Mitchell passed away on March 26, 2018 at Kelowna General Hospital at the age of 37. He was born in Kamloops, BC. Until he was 9, the family operated a cattle feed lot business; in 1990 they moved to Lake Country where they lived in an orchard. Mitchell graduated from George Elliot High School in 1999 and went on to trade school for Auto Mechanics, graduating 4 years later as a Red Seal Automotive Technician. In 2001 he met Meghan Kitts; they were married in 2007 and daughter Kinsley was born November 20, 2017. Mitchell was an adrenaline junkie, a workaholic, a perfectionist, loved to play jokes and was well liked by those who knew him. Snowmobiling was his passion, but he also enjoyed sky diving, all watersports and dirt and street biking. He will be sadly missed by his wife Meghan; daughter Kinsley; parents Peter and Brenda Bertolotti; grandparents John and Joyce Burdess; sister Beverly Bertolotti; nephew and niece Isabella and Roman Campbell as well as many aunts, uncles and cousins. A Memorial Service will be held on Saturday, April 14, 2018 at 1:00 pm at Springfield Funeral Home, 2020 Springfield Road, Kelowna, BC. In lieu of flowers, donations may be made to the BC Cancer Foundation, 686 W Broadway, Vancouver, BC V5Z 1G1 www.bccancerfoundation.com. The service for BERTOLOTTI, Mitchell is scheduled for Saturday, April 14, 2018 at 1:00 pm . Below you will find the map for the service location and the contact information should you have any questions. With heavy hearts we send our condolences. Know that many share in your heartache of your loss . So sad to hear about Mitch! We remember both Mitch and Bev fondly and are sending best wishes to the family form George Elliot. My family and I extend our most heartfelt sorrow and condolences to you and your family, losing Mitch is a tragic loss for all of us. I interviewed and hired Mitch in the spring of 2001, I hired him on the spot. His enthusiasm to become a Journeyman Technician got my attention! He patiently did his time as a Lube Oil Filter Technician for a year prior to being signed up to the General Motors Apprenticeship Program. His mentor in the shop, Reni Lind was impressed daily by how quickly Mitch learned the trade. Mitch was even tempered, even in the most difficult of situations. Outside of work we had four by four day trips with Mitch, Dave, Andrew and my kids. He knew his way around the back roads, or at least lead us to believe he did! We have tons of great memories of Mitch at work and away from work. Mitch always had time to help out my daughter and son anyway he could while they worked at Bannisters. We are all very grateful to of had Mitch in our lives. I was unable to attend the funeral for Mitch. I was able to watch it on line. What a wonderful job you all did in preparing for one of the hardest days imaginable. In the little time I became to know you all as a family I must say how proud you all should be … the love in the room was warm and welcoming. What a beautiful relationship you all had and such amazing memories to cherish. My best to all of you in the years to come. I’m so sorry to hear about Mitchell’s passing. You will miss him a lot. I wish I’d got to know him beyond those brief meetings at family reunions.